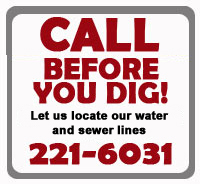 Service Center - Jasper Waterworks & Sewer Board, Inc. The Service Center at 1607 8th avenue west was purchased from Alabama Power Company in 1981. The Board worked out of the existing facility until May of 2011 when the new service center building and other improvements were finished. This facility houses all the Board's repair parts and maintenance equipment. The new facility should meet the Board’s needs for many years.